Who says weddings have to be stuffy evening affairs? 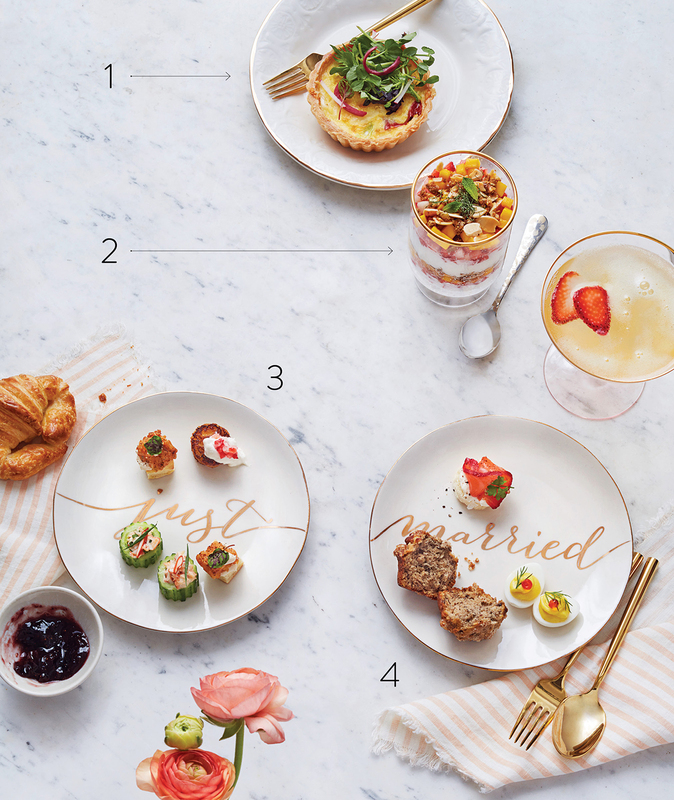 Ahead, Forklift Catering serves up inspiration for an eye-opening brunch bash, and wedding planner Natalie Pinney, of Whim Events, offers three essential tips for pulling it all together. By Brittany Jasnoff·	 6/21/2016, 4:02 a.m.
Quiche can be served hot or at room temperature, making it an ideal buffet option. Forklift’s version kicks it up a notch with smoked pepper and Vermont cheddar. “It’s a nice little fresh start,” says Forklift chef and co-owner Jamie Rogers of this parfait layered with Greek yogurt, strawberries, and almond granola. Just about any breakfast favorite can be miniaturized. Case in point: these adorable chicken-and-waffle bites with maple-syrup cream cheese. Rounds of buttery French toast and lobster salad in mini cucumber cups round out the tiny brunch brigade. Need a tempting option for your herbivore friends? This fluffy vegan banana-walnut muffin should do the trick. Beet-cured salmon and deviled quail eggs, meanwhile, add a pop of color to the table. 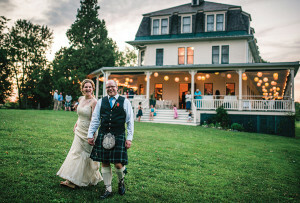 “If your wedding is at 11, you don’t have all day to get ready,” Pinney says. 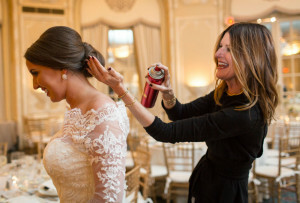 Have your hair and makeup team come to you, and plan on beginning as early as 6 a.m., depending on how many bridesmaids you have. And whatever you do, don’t try to squeeze in formal portraits before the ceremony. 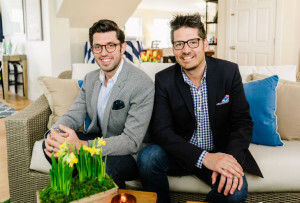 “Brunches can be a little more casual, but they still follow a flow similar to any wedding,” Pinney says. To get people mingling, consider an abbreviated cocktail hour featuring breakfast-related finger foods, Pinney suggests—and don’t forget the mimosas and bloody marys.